Violence in Yemen’s key port city of Hodeidah is at its worst in months, the United Nations humanitarian coordinator has warned, as a leader of the Houthi rebels vowed that his side would carry on fighting despite US calls for a ceasefire. Hodeidah, a vital entry point for UN and other humanitarian aid, has become the center of the conflict in Yemen between US-backed Arab allies led by Saudi Arabia and Houthi rebels backed by Iran. Fighting has escalated since US Secretary of State Mike Pompeo and Secretary of Defense Jim Mattis a week ago called on all participants in Yemen’s civil war to agree to a ceasefire in the next 30 days and start peace talks. “The uptick in violence is some of the fiercest fighting we’ve seen in months and months,” UN humanitarian coordinator in Yemen, Lise Grande, told CNN. 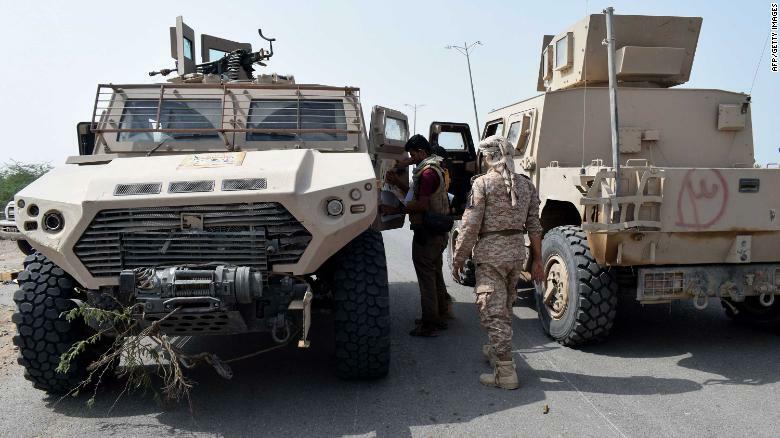 The Saudi-led coalition claimed Monday it had made significant gains in the battle to capture Hodeidah from the Houthis. “Based on experience in the past, we know that this is an American style, they call for peace while they are preparing for a new military aggression,” Abdul Malik al-Houthi said in a speech broadcast on pro-Houthi al-Masirah TV. “The Saudi aggression primarily depends on US military supervision, planning, weapons and logistical support,” he added. Yemeni pro-government forces advance Tuesday toward the port area from the eastern outskirts of Hodeidah. Humanitarian workers fear that more than 100 civilians may have died in the just past week in Hodeidah, CNN has learned. UN children’s agency UNICEF warned Tuesday that intense fighting in Hodeidah was putting children in the city’s hospital in grave danger. The lives of 59 children are at risk, it said, including 25 who are in the intensive care unit at the city’s al-Thawra hospital. Hodeidah and the neighboring governates account for 40% of the 400,000 children in the country who suffer from severe acute malnutrition, UNICEF said. “Some of the sickest are taken to the hospital for urgent care,” it added. Meanwhile, up to 80% of Yemen’s humanitarian supplies, fuel and commercial goods are delivered through Hodeidah’s port, around which fighting has reportedly intensified, the agency said. “The toll in lives could be catastrophic if the port is damaged, destroyed or blocked,” it warned. The three-year conflict between the US-backed, Saudi-led coalition and the Iranian-aligned Houthis has devastated Yemen and reportedly killed at least 10,000 people. Pro-government forces advance toward the port area. 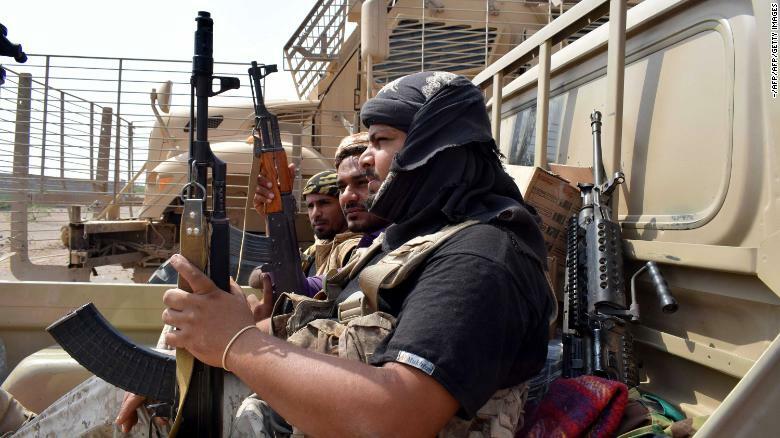 The Saudi-led coalition had launched 400 airstrikes in Hodeidah over the past few days, a Yemeni journalist close to the Houthis told CNN on Wednesday. The coalition said in September that its targeting operations in Yemen resembled the “highest international standards” and pledged to investigate incidents involving civilian deaths reported on by CNN. The US military provides the Saudi coalition with training meant to help minimize civilian casualties, as well as aerial refueling of coalition warplanes. UN experts from the World Food Programm say that the coalition’s bombings of civilians are potential war crimes and that its partial blockade of the country has put 12 million men, women and children at risk of starvation in what could become the worst famine in 100 years. The situation in Yemen is “an unprecedented human tragedy,” the head of the UN Food and Agriculture Organization, José Graziano da Silva, said Tuesday. US President Donald Trump’s administration has drawn criticism from activists and some members of Congress for its support for the Saudi-led coalition fighting the Houthis in Yemen and for the administration’s recent finding that the coalition was doing enough to avoid civilian casualties. The United States is now working to capitalize on what it regards as new leverage with Saudi Arabia, following a global scandal over the killing of Saudi journalist Jamal Khashoggi, to end the brutal civil war in Yemen, multiple US officials told CNN last week.